It's 1935, and Desdemona Hart Spaulding has sacrificed her plans to work as an artist in New York to care for her bankrupt, ailing father in Cascade, Massachusetts. When he dies, Dez finds herself caught in a marriage of convenience, bound to the promise she made to save her father's Shakespeare Theater, even as her town may be flooded to create a reservoir for Boston. When she falls for artist Jacob Solomon, she sees a chance to escape and realize her New York ambitions, but is it morally possible to set herself free? I picked up Cascade after a five-star review and high recommendation from Meg at write meg! She primarily reads and reviews adult fiction, so I love following her blog to find new books that I may not have seen already around the blogosphere. Desdemona (Dez) Hart loved art more than anything else. It was her passion - inspiring her, moving her, thrilling her. Then, her father, ailing and bankrupt, needed her to care for him. And so she did the unthinkable - she married a man she didn't love because it meant saving her father's dream, his Shakespeare Theater. Doing so meant sacrificing her dreams, her desires, and her plans for the future in order to save his. This idea of sacrifice is central to the entire story because it also represents the loss of her freedom. She becomes tied to a man she doesn't love and a town, Cascade, that's slowly drowning. Almost literally. What once was a bustling tourist attraction is now an empty shell and a grim reminder of the past. The government needs to create a reservoir for Boston, and Cascade is one of two places they're considering. If it's chosen, that means the entire place will be flooded. Lives dismantled, people displaced. And then no one will call Cascade home. Cascade tackles some thought-provoking topics - the weight of sacrifice, the cost of freedom, the questions of what's right. From people wanting to do whatever it takes to save their town to Dez's friendship with a fellow artist, there is all this heavy tension that just weighs on the story. You can feel that desperation, that ache, in every page. She goes on to say that she wanted to explore the idea of choices - which one is right and who gets to decide which is right. Knowing this was her intention, I'd have to say that she successfully addresses these overarching questions. She doesn't necessarily answer them - just weaves a story that pushes against these thoughts and leaves them open for discussion. Dez isn't really likable but she certainly makes for an interesting heroine. She's self-centered in many respects, but I thought that it was realistic and nice to read about a woman who was willing to go after what she wanted, no matter the cost. I don't need to like a character to enjoy a book - I just want them to be well-drawn, realistic and feel fleshed out. The story focuses a lot on both art and water - two key elements that tie everything together - so I loved the fluidity and descriptiveness of the language. The writing is really lovely and haunting. There are times when the phrasing was over-wrought, but I found it mostly fitting with the overall tone of the book. However, I don't think it's a read that everyone will enjoy. The pacing is extremely slow, which I found frustrating at times. There were also a few plot threads that either weren't completely resolved or kind of just disappeared. And, honestly, it's a little bit depressing because the subject matter and tone is so somber and reflective. But it's also well-written, moving and thought-provoking. It tackles big questions on a small stage, and I'm really glad I read it. 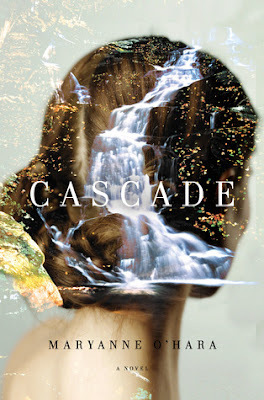 If you want a quiet drama, pick up Cascade. It will leave you thinking about freedom, sacrifice and choices. "It was always bittersweet to know that people you loved were alive in the world but in a place where you couldn't be with them." I am so very intrigued by what you've written here and I'm wondering if this is a book that I'd like!!! It sounds very discussable. It's definitely discussable! It's a slow and quiet book, but it's certainly one that makes you think. If you read it, let me know. We'll chat! I love the themes that this book appears to tackle. While it might take me a while to get through this one (as you've mentioned the pacing of the book), I do think I might feel like it was worth it in the end. After all, any book that makes me think or is, as Asheley says above, discussable, is a book I'd take a second look at. Yes, it's definitely worth it! Slow, to be sure, but still a thoughtful and enjoyable book. Let me know if you read it! I've wanted to read this one ever since I saw the cover. It's just gorgeous, and so different than a lot out there. So even though, I didn't really know what it was about, I couldn't wait to pick it up. Of course, haven't yet, but reading your review and having a better idea what it's actually about, makes me all the more curious.